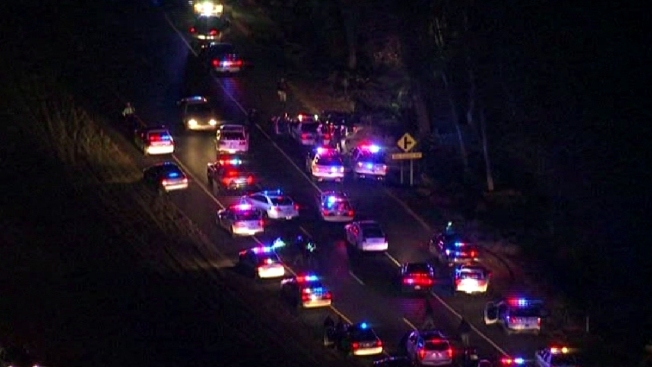 Four people were arrested after leading police on a high-speed chase from D.C. into Prince George's County on Thursday night. Around 9:45 p.m., a robbery at knifepoint was reported in the 300 block of E Street NE, near Union Station. D.C. and Park Police chased the suspects into Prince George's County. They were cornered at Radcliffe Drive and Kenilworth Avenue in College Park, almost 20 minutes from where the robbery occurred.